How to enable sound on MacBook when connected to second monitor via HDMI? 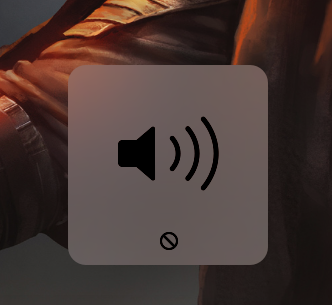 macOS is outputting sound over HDMI and has decided that volume should only be changed on the device receiving the sound. If you want the audio to come out of the monitor, adjust its volume directly (or connect speakers). Otherwise, use either the Volume item in the menu bar (the speaker icon) or the Sound system preference to change your audio output device to "Internal Speakers". Try to open System Preferences -> Open Sound -> Click Output -> Switch devices to headphones or speaker. I just fixed this by going into the audio midi setup. - Click the + symbol on the bottom of the window. - select create Multi-Output Device. - highlight newly added device - click gears icon on bottom of window - select use this device for sound output. It was absolute dumb luck messing with settings but it works! I've got a 2017 MacBook Pro and recently bought a Dell U2719DC. I bought it because of the single USB-C cable into my MBP idea. Looking into how to control sound from the monitor, I tried the SoundFlower/Bed and although it did work, I found it to be a really ugly solution. I was able to keep my 1-cable dream alive through buying an M-Audio Micro DAC for $60AUD (you can get much, much cheaper USB DAC's). It's just a USB based line out device that plugs into my monitors hub at the back, and gives me control over the output level without the need for any sketchy drivers or software - just plug it in and you're done. This solution is probably not for everyone, and particularly limited to those with USB-C monitors, but I thought I'd share anyway. Not the answer you're looking for? Browse other questions tagged macbook hdmi sound-volume . Macbook Pro connected to HDMI, but no sound? macbook pro to external monitor 1920px via hdmi? 1040p monitor for MBP Retina via HDMI?